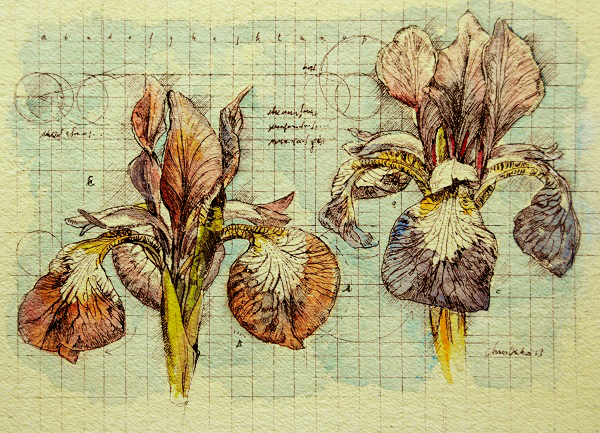 This is an iris study that I donated to the annual PawCasso art auction organized by Homeward Trails, a commendable animal rescue organization based in Arlington, Virginia. I am delighted that the art did very well in the auction. Please see my related Latest News entry here.